Michael G. Rubin is an American businessman born in 1972 in Philadelphia, Pennsylvania USA, and is known as the founder and Chief Executive Officer of the direct-to-consumer e-company “Kynetic”. At the same time, he holds the position of the company’s Executive Chairman in each of its three businesses – Fanatics, ShopRunner and Rue La La. Prior to this, Michael founded GSI Commerce which he eventually sold to eBay. Have you ever wondered how rich Michael Rubin is? According to sources it has been estimated that Michael Rubin’s overall net worth is $2.3 billion. Rubin accumulated his enormous wealth singlehandedly, by founding a successful company and later selling it to eBay for a huge amount of money. Apart from this, Michael is the founder and the CEO of another equally successful enterprise which has significantly added to his net worth. Since he is still an active businessman, his net worth continues to increase. Michael was born into a Jewish family, and grew up in Lafayette Hill, Pennsylvania. When he was only 12 years old, Rubin started a ski-tuning shop in his family’s basement, and two years later, opened a formal ski shop in Conshohocken, Pennsylvania. However, things didn’t go as expected, and by the time he was 16, Rubin was in debt. He made an agreement with his father who covered his debt with a loan, under the condition that Michael would go to college. Rubin enrolled at Villanova University, but dropped out after one semester after gaining a large sum of money on an opportunistic transaction. With this money, and after selling his ski shops, Michael founded the athletic equipment company named KPR sports. By the time he was 21, the company reached $1 million, and two years later $50 million in annual sales. His net worth was now well established. In 1995, Rubin decided to purchase 40% of “Ryka”, a company which manufactured women’s athletic shoes. Three years later, he created Global Sports, which later turned into GSI Commerce, an e-commerce company worth several billion dollars. Michael eventually sold his company to eBay for $2.4 billion, and repurchased the licensed sports merchandiser Fanatics, Inc., flash seller Rue La La and retail benefits program Runner, which he merged into a new entity named Kynetic. Rubin also bought a minority share in the NBA Philadelphia 76ers basketball team, and the NHL New Jersey Devils hockey team. Apart from appearing in Forbes, Michael has been quoted and interviewed in “The New York Times”, “Entrepreneur”, “The Wall Street Journal” and “People Magazine”, and was named one of the year’s “20 Most Powerful CEOs 40 and Under” by Forbes in 2011. 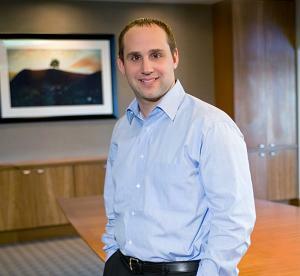 The same year, Rubin also appeared in the premiere season of “Undercover Boss”, a CBS television show where he worked undercover in his GSI Commerce’s warehouse and call center. When it comes to his private life, Rubin has a child with his first wife Meegan Rubin, a local dance teacher. He has been dating CNBC and CNN anchor Nicole Lapin since 2011. Michael is also an avid sports fan since childhood.